The only par 5 on the front nine. Driver for this blind tee shot aimed towards the bunker on the right at the top of the hill, as everything will kick left. If you are a big hitter you must now make the decision whether to go for the green in two. 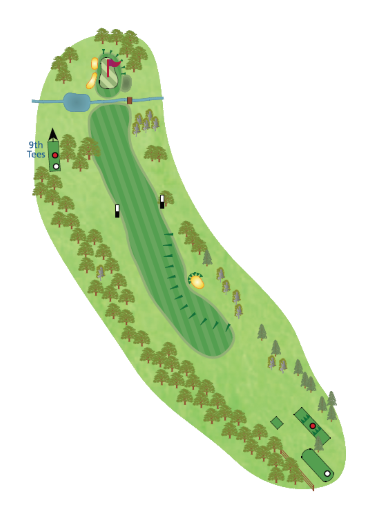 Alternatively, play an iron for your second shot, short of the stream that guards the green, then chip on. A big slope from back to front, so you do not want to be above the pin for that birdie putt, as many a good player have been embarrassed by putting off the green.